This report about the state of Seventh-day Adventist education has the same aim as that of Nehemiah, when with trusted colleagues, he set out during the night on an inspection of the walls and burned gates of Jerusalem.1 The assessment was done so that they would know how to proceed in rebuilding. That’s the purpose of inspecting the state of Adventist education. A well-known quotation states: “Without data, you’re just another person with an opinion.”2 This report is based on our own data trends. As of December 31, 2015, the Seventh-day Adventist Church worldwide operated 5,705 primary schools, 2,336 secondary schools, 53 training schools—such as hospital-based nursing programs and some non-degree ministerial training schools―and 114 tertiary colleges and universities. In our 8,208 schools around the world, 102,779 teachers educated nearly two million students (1,922,990). Analysis of that data reveals areas of concern, but let us first consider mission. “Education for What?” asks Adventist Church historian George Knight.3 Both he and Ellen White before him have stated unequivocally: To fulfill the apocalyptic mission of the Seventh-day Adventist Church to all the world.4 Of course, our education must develop students mentally, socially, physically, and vocationally, but this goal is shared by all schools, whether religious or not. Ellen White emphasized that to restore the image of God in students and to prepare them for service in this life and the next means returning to God’s original purpose in creating humans.5 However, this spiritual and redemptive goal is shared by other Christian schools. It is a third aspect—the denomination’s apocalyptic mission to the world—that is unique to Seventh-day Adventist education. Pointing to statistics, George Knight observes that “While the denomination had two schools in 1880 and 16 in 1890, it rapidly expanded to 245 in 1900, more than 600 in 1910 and 2,178 by 1930. If, more than 140 years after the initial development of a denominational education system in the 1870s,8 we still believe that mission and education are one, that the work of redemption and education are one, and that the Seventh-day Adventist Church is a movement of prophecy with an end-time mission to all the world, we would expect enrollment patterns to support that belief. How does enrollment in Seventh-day Adventist schools relate to church membership? As of December 31, 2015, membership stood at more than 19 million members.9 But a global survey10 revealed that less than half of church membership had some Adventist education (47 percent), and 52 percent had none. More than half of the membership have not attended a Seventh-day Adventist school. The data display a significant discrepancy between what we say about the significance of education and actual enrollment. The data also show that enrollment in Adventist schools varies by division. The North American Division has the highest percentage of enrollment by membership, with only 29 percent having none. Other divisions have a high percentage of members who have never attended Adventist schools. For example, in the Southern Africa-Indian Ocean Division (76 percent), and the Inter-American and West Central Africa divisions (66 percent) of the members report having never attended Adventist schools. One explanation is that there has been a lot of growth in those areas. Even if it is too late for adult converts, their children should benefit from and be enrolled in Adventist education to prepare them for service and mission. This is an opportunity for enrollment growth. To foster academic excellence, focusing on continued improvement with measurable goals for quality culture is not enough. Mission must be integrated with traditional measures of academic excellence. Based on these data and the work of the General Conference Department of Education throughout the world field, we have established four priorities for Adventist education for this quinquennium (2015-2020),12 starting with Adventist identity and mission. These priorities are the gates that safeguard the mission focus of education. By “Adventist mission and identity,” we mean both capacity and evidence that Adventist education functions within a biblical worldview and that it pursues a meaningful integration of faith and learning in all disciplines and at all levels. It means that teachers and administrators give the Bible and the Spirit of Prophecy a foundational role in the operation of the school, and that we are truly educating the whole person―not just the mind, but the whole person within the framework of a balanced, redemptive education that develops the ability to think, to act, and to do. Its goal is to restore in students the image of their Creator. We hold ourselves accountable for Adventist mission and identity through processes such as the ones used by the Accrediting Association of Seventh-day Adventist Schools, Colleges, and Universities (AAA), where AAA performs audits of schools, provides recommendations for improvement, and gives commendations for what is going well. Through the functions of the International Board of Education (IBE), we establish general guidelines and direction of the education program of the church. The International Board of Ministerial and Theological Education (IBMTE) cooperates with divisions to provide overall guidance and standards to the professional training of pastors, theologians, teachers of Bible and religion, chaplains, and other denominational employees involved in ministerial and religious formation. While we promote and guard Adventist essentials in all levels of education, more recently the focus has moved to graduate and professional programs because that’s where there is growth. Three medical school and two dental schools opened in the past quinquennium (2010-2015) in Nigeria, Peru, the Philippines, Argentina, and Brazil, respectively. Education has also expanded through technology; and here, the challenge is to adhere to Adventist philosophy of education in distance learning. How do we do Adventist education when we never see our students? When they live in their own homes and communities and rarely if ever set foot on campus? How do we do it when they only come for an intensive, participate in a cohort, or attend an urban campus while they’re living at home? To foster academic excellence, focusing on continued improvement with measurable goals for quality culture is not enough. Mission must be integrated with traditional measures of academic excellence. Andrews University (Michigan, United States) is at the forefront of developing distance education that is distinctly Adventist; but in every school, technology needs to be baptized for our purposes. Each school is assessed on its implementation of a spiritual master plan appropriate for the level and type of students. Key performance indicators include evidence that students are studying their Bible, and that the institution uses textbooks in harmony with Adventist philosophy of education. If we are using the same textbooks as every other educational institution, we are not carrying out our purposes. Textbooks need to integrate with and be based on a biblical worldview. These are some examples of what it means to strengthen Adventist identity and mission in education today. The second priority is to increase student access to Adventist education. Parents agree that Adventist education is desirable, but many struggle to afford it. 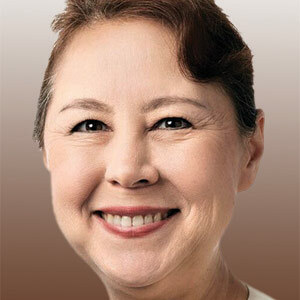 How can we enroll more Seventh-day Adventist students? We need to partner with other departments to work with the divisions to increase student access to our schools. Barriers to enrollment need to be identified and removed or lowered. More work is needed to develop sustainable models of affordable education. No margin, no mission. But how can mission be balanced with the need for margin? How can we increase access? With respect to students who are church members and attending tertiary higher education, the data are not encouraging. Using the earlier 18 million membership figure, about 30 percent of our membership are estimated to be between the ages of 16 and 30. This yields a total of six million potential tertiary students. Of that number, only 74,000 are attending a Seventh-day Adventist tertiary institution. That means that only one percent of Seventh-day Adventists in this age range are attending one of our colleges or universities. We have a problem. Of course, not everybody in that age group is in school. Some are working, some are at home, and others are in rural populations where they are planting crops or caring for family. If the UNESCO higher education enrollment rate of 26 percent13 is applied to that six million, there are an estimated 1.5 million young people who could be in Adventist higher education but who are studying somewhere else. Applying the UNESCO ratio improves the estimate so that of all of those Seventh-day Adventists who are studying in higher education, five percent could potentially attend one of our schools, instead of the one percent currently enrolled. Our schools cannot offer every degree, but we still could do better to enroll more in the large number of programs that we do offer. The third priority is mission-focused teachers. Employment data from the annual statistical reports compiled by the General Conference Office of Archives, Statistics, and Research show that this is the area of greatest concern. All teachers need to develop their capacity to achieve the redemptive purpose of Adventist education and to model Adventist values and lifestyle. The data show that we also need systematic and deliberate effort to increase where needed the percentage of Seventh-day Adventist teachers who work in the system. How are we doing with regard to the percentage of Seventh-day Adventist teachers in our schools? Let us analyze the trend for the past 14 years―during the watch of many of us who have been in office. There is a clear downward trend for primary, secondary, and tertiary levels. Increasingly, we are employing people of other faiths or no faith at all. As of 2014, almost 30 percent of the teachers in our schools were not Seventh-day Adventists. The annual decrease is on average one percent per year, sometimes more. To put this into perspective―of a hundred thousand teachers (the approximate number worldwide)―what’s one percent? All good Seventh-day Adventists know how to tithe. So, what would 10 percent be? It would be ten thousand. And one percent per year represents the hiring every year of one thousand teachers who have not made a personal commitment to Adventism. Dr. George Knight asks: “What is Christian education without Christian teachers?” “What is Adventist education without Adventist teachers?” Teaching is an incarnational process. 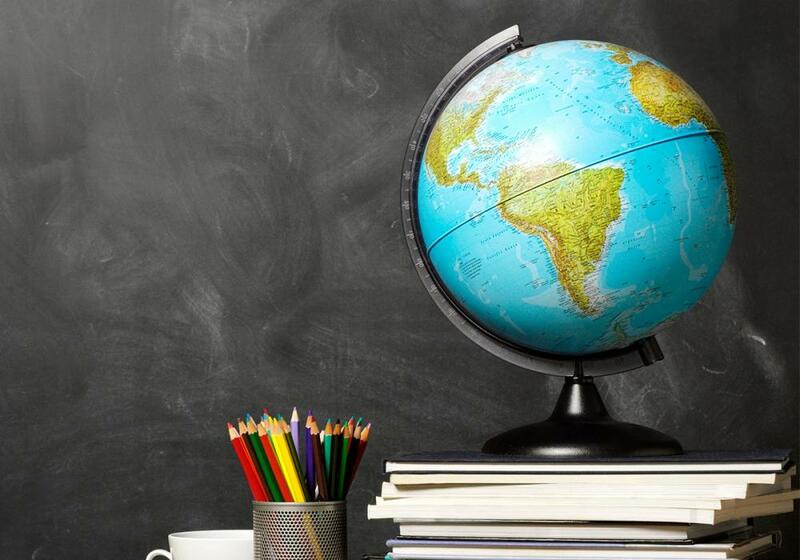 It’s not just teaching how to add numbers, but also how to live a life of faith and carry out the unique mission of Seventh-day Adventist education. Over time, the percentages of Seventh-day Adventist students has declined so that in 2014, fewer than half of our student enrollment was Seventh-day Adventist. We might celebrate this because it offers an excellent evangelism opportunity! But the two trends (percentage of Adventist teachers and percentage of Adventist students) are going down together. Critics will say that some of these teachers are more caring or better role models than some Seventh-day Adventist teachers. They may indeed have superior academic qualifications and be effective educators in their discipline. They may even be warm Christians who share the love of Christ with students. But how can these teachers share the unique vision and mission of Seventh-day Adventist education if they do not subscribe to it themselves? There has been a proliferation of graduate and professional degrees offered by our institutions―a whole alphabet soup just at the graduate level, including medicine, pharmacy, doctors of theology, PhDs in a variety of areas, and more. The expansive proliferation of degrees has required the employment of professors with specialized degrees. There have not been enough Seventh-day Adventists to fill these slots, which has resulted in increased hiring of people of other faiths or no faith at all. The Adventist Professional Network (APN) is one initiative to monitor the preparation of future teachers and a tool to recruit teachers and other personnel. Every Seventh-day Adventist with at least a bachelor’s degree is invited to register in the database (https://apn.adventist.org/) — it will take only 10 minutes to do so. APN is one way that we can track those who have at least a bachelor’s degree or higher and track their progress toward professional development in order to be better able to recruit them. Lack of mission-focused teachers is an area where the walls are broken and the gates have burned. We need to redouble our efforts if Adventist education is to achieve its unique purpose. The fourth and final priority is to strengthen educational leadership. Our principals, presidents of colleges and universities, and boards carry the local responsibility for overseeing more than 8,000 schools, colleges, and universities around the world. In a hand-poll of the 2016 General Conference Executive Committee, about 20 percent were new to their positions. For that reason, an annual leadership conference is held to equip new officers for the responsibilities they must carry out in the field. At the institutional level, demonstrating accountability and effective governance requires robust institutional decision-making processes and structures. Support for this is given in various ways: journal articles, board training, the 2016 General Conference Leadership Education and Development (LEAD) Conference on education, and board retreats. Graduate training for church leadership is provided at a number of universities―especially at Andrews University (U.S.A.), Adventist International Institute of Advanced Studies (Philippines), and the Adventist University of Africa (Kenya). Over the past year, the IBMTE Handbook was updated to strengthen ministerial and theological education. Regional LEAD conferences on education are scheduled for 2017. However, more needs to be done to develop leadership, particularly for the preschool/kindergarten, primary, and secondary levels. Viewed on a map, there is a correlation between educational institutions and where the membership is at least twenty thousand (see Figure 1 on page 15). Two features are important to note in the demographic distribution of membership. The larger concentrations are located along coastlines, reflecting the early efforts of pioneering missionaries who went out not by airplanes, but by ships, and established the work in coastal areas. Where the educational work was established, the church is strong. Local memberships of twenty thousand or more are virtually a map of our educational system. Education has proved to be a stable foundation on which Seventh-day Adventist work has grown from strength to strength. Indicating on a map those regions of the world where the church has fewer than 125 members (0-125) highlights the 10/40 Window,15 along with Europe. Our own historical success indicates that education should be a major approach for work in these challenging areas. In doing so, we continue the work of the Master Teacher and seek to carry out the gospel commission. Plenary 2 presentation from the 2016 LEAD Conference on “Educating for Eternity” held at the General Conference World Headquarters in Silver Spring, Maryland, U.S.A., October 5-7, 2016. Nehemiah 2:12-18. New International Version (NIV) Holy Bible, New International Version®, NIV® Copyright © 1973, 1978, 1984, 2011 by Biblica, Inc.® Used by permission. All rights reserved worldwide. This quote is often attributed to statistician and economist W. Edwards Deming. George R. Knight, “Education for What? Thoughts on the Purpose and Identity of Adventist Education,” The Journal of Adventist Education 79:1 (October-December 2016), 6-12. Revelation 10:11; 11:19; 12:17; and 14:6-12, 14-20. Ellen G. White, Education (Mountain View, Calif.: Pacific Press, 1903), 15. Knight, “Education for What?” 11, 12. Richard W. Schwarz and Floyd Greenleaf, Light Bearers: A History of the Seventh-day Adventist Church (Nampa, Idaho: Pacific Press, 2000), 114-129. Seventh-day Adventist World Church Statistics 2015 (October 2016): https://www.adventist.org/en/information/statistics/article/go/-/seventh-day-adventist-world-church-statistics-2015/. All data reported in the Annual Statistical Reports of the Seventh-day Adventist Church, except for estimates of the number of Seventh-day Adventists enrolled in tertiary education outside of the Adventist system: http://documents.adventistarchives.org/Statistics/ASR/ASR2016.pdf. United Nations Office of the Secretary-General’s Envoy on Youth, “#YouthStats: Education” (2016): http://www.un.org/youthenvoy/youth-statistics-education/. For a description of the four priorities, see Lisa M. Beardsley-Hardy, “The World Education Team: 2015-2020,” The Journal of Adventist Education 78:1 (October/November 2015): 44, 46. http://circle.adventist.org/files/jae/en/jae201578010311.pdf. https://www.adventistarchives.org/reach-the-world-doc.pdf; General Conference Office of Archives, Statistics, and Research, “Report on Global Research, 2011-2013: Annual Council, 2013”: https://www.adventistarchives.org/ac-research-report,-2013-revised.pdf. Thanks to Rick McEdwards, DIS, President, Middle East North Africa Union, Jerry Chase, MDiv, Geographic Information Specialist, General Conference of Seventh-day Adventists, David Trim, PhD, FRHistS, Director of Archives, Statistics, and Research, General Conference of Seventh-day Adventists (ASTR), and the annual reports compiled by ASTR. Ibid. 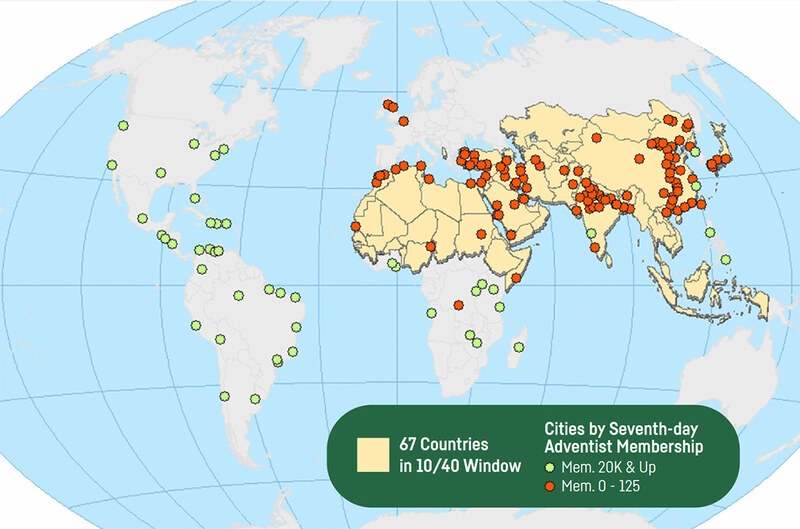 ; See also “Stats and Mission: Adventist Mission in the 10/40 Window,” Adventist Review (July 2015): http://www.adventistreview.org/1518-19.